For most companies, the reason to exhibit at an expo or trade show is to generate leads or, if you are selling products, make a sale. Going hand-in-hand with this is brand awareness. Being able to reach new people who are unfamiliar with your offering and convert them. It’s not possible to achieve all this on your stand, but how you present the company, how you communicate with them in the short time available and the follow up you do after the show will demonstrate these attributes. 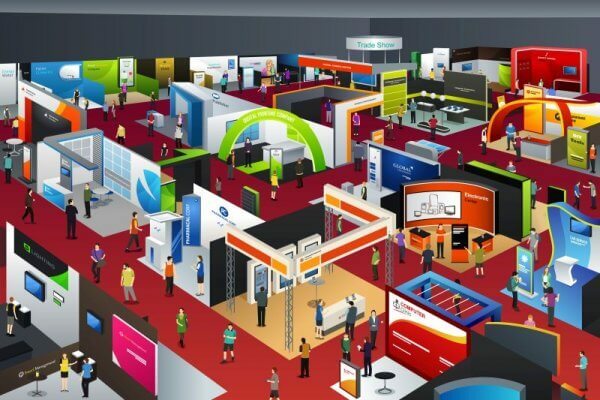 Here are 6 tips that will help make your participation at an expo or trade show a success. Have something on your stand that attracts people. The more people that are congregating around your stand, the more people it will attract. This could be a demonstration, a really good video, an entertainer, unusual technology, a challenge, a game or a display that’s interactive. Once you have them at your stand, engage them in a friendly way and ask open-ended questions. Invite them to go into the draw to win the fantastic prize that’s on display. Capture their details and they are in the draw and on your database to be followed up. Aim to qualify them and provide them with a branded giveaway as desired. You’ll need to have plenty of staff on the stand who are friendly and knowledgeable. Everything about the stand and the people on it should demonstrate your professionalism: the clean, neat clothing, ideally branded; the impressive stand design that isn’t messy; the smiling and engaging staff who aren’t eating, drinking or using their phone on the stand; and making sure staff are standing, not sitting, waiting to talk to someone new. In the lead up to the event, you’ve been promoting your attendance at the show to prospects offering them a teaser (refer to Part One) and now they’ve done what you asked and called in to see you. Reward them with a special branded giveaway that is just for those qualified prospects. And if you have time, offer them a cup of coffee and have a quick chat and aim to set up a proper meeting with them. Take video of the expo and photos of people who visit your stand (with their permission) and share them on social media and add their handle/user name. Ask the visitors to share and like them. Use the show’s hashtags and add your own. Create energy and excitement around your stand and others will pick up on this. Include a QR code for people to scan that takes them to a special show video or page. If you have captured the details of visitors to your stand, then don’t make the mistake as many do and not follow them up. Aim to contact them personally within a week of the show and have material prepared that can be sent to them quickly and easily. If you didn’t make a sale post-event be rewarded knowing that you have a new prospect that is now part of your database and receiving your regular marketing materials, allowing you to continue to demonstrate your professionalism and attributes. If and when they do want your services, they know who to contact. If you require any assistance in selecting, planning and participating in an industry event or exhibition, please get in touch. We’d love to help you.